The digital life insurance startup, which opened its doors in Jan. 2017, will use the funding for expansion. 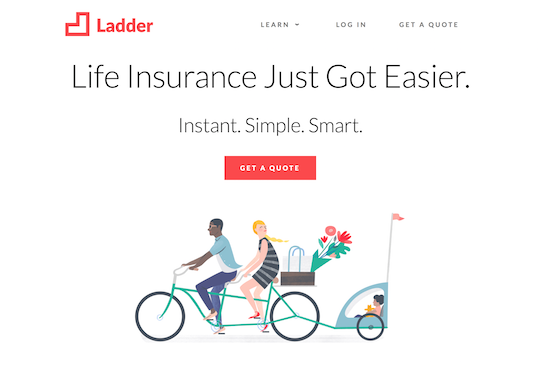 Ladder, a startup insurer aiming at what it calls instant, simple and smart life insurance announced that it has raised $30M in Series B financing, led by RRE Ventures, with participation from Thomvest Ventures, as well as Ladder’s existing investors: Canaan Partners, Lightspeed Venture Partners and Nyca Partners. Having built proprietary technology from the ground up, Ladder says it is able to quickly iterate on its product to introduce new features that streamline the experience for consumers. Founded in 2015, Ladder launched what it calls its fully-digital life insurance solution in California on January 10, 2017. With this latest round of funding, Ladder will continue to develop its platform capabilities and expand its marketing initiatives nationwide. The company recently announced it will also make its digital life insurance offering available to partners via the Ladder API. The company raised $14 million in an initial funding round closed in 2016.